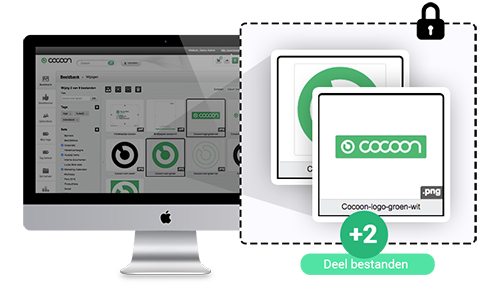 Cocoon is plug & play Digital Asset Management software for marketing and communication professionals. Manage your precious media files in a central location in the cloud and keep control over your brand identity. As a marketing and communications professional you need smart tools to manage all your content for different channels. 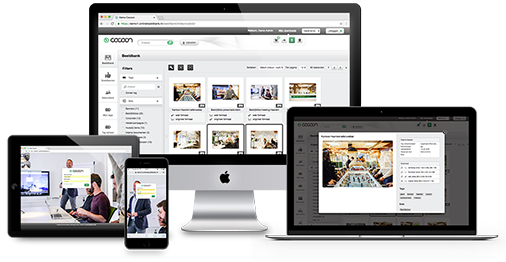 With the Cocoon media management software you put all your media in one central location in the cloud. You and your colleagues have access to the latest corporate documents and marketing materials, anytime, anywhere. You would like to store your precious photos and marketing materials in a secure area on Dutch servers.  You decide what rights you give to colleagues, clients and other stakeholders (temporarily) for a specific selection of files. Easy sharing of large files without losing control of your corporate and brand identity. 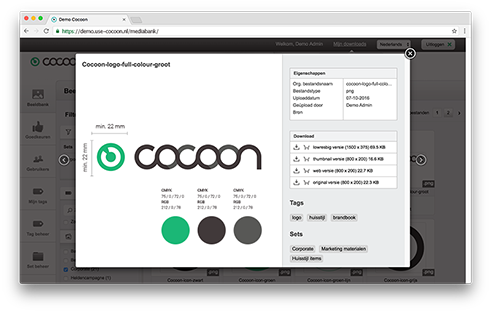 Maintain a consistent brand identity by using Cocoon. Keep control over your brand and determine which marketing materials and corporate documents are uploaded to the cloud and which users have access to specific media files.